It’s the summer holidays, which means there is every chance my six-year-old will forget a huge chunk of what he learnt at school last term. Or perhaps you have a small person starting school in the new year and eager to get started – either way investing in Little Tyro is a worthwhile buy indeed! 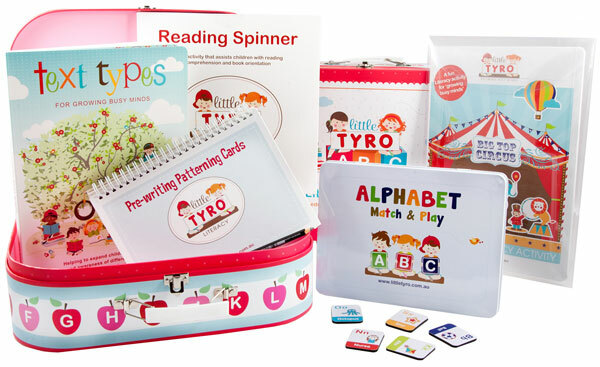 Little Tyro specialise in literacy and numeracy products for preschool and early school-aged children with the aim to develop and build greater confidence for literacy and numeracy success. Little Tyro founder Louise Hedley has chalked up thirteen years of primary school teaching experience and is also the mother of two children aged under five – so we have complete faith that she’s setting us on the right track! 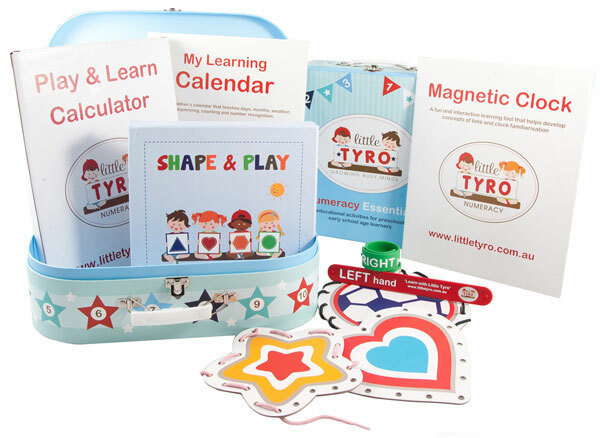 Products target specific needs and are available individually but a great way to buy Little Tyro products is by taking advantage of their Literacy Essentials Pack or Numeracy Essentials Pack (both priced $85.95 each or together for $149.95). Each handy suitcase contains several activities to keep little minds busy and actively learning or practicing new skills. Find individual activities priced from $7.95 and find out what exactly is contained in the gorgeous Essentials Packs, by heading on over to Little Tyro.